Richard has just returned from Queensland where he was filmed, conducting the Queensland Symphony Orchestra, in some standard symphonic classics. Richard's diary, for 2019, will feature a few more concerts with the Queensland Symphony - another Music on Sundays concert in Brisbane's QPAC concert Hall and he will also direct them for the Lev Vlassenko Piano Competition. A third successive year with the Dunedin Symphony is also in the pipeline for July 2019. As Chief Conductor of the University of Melbourne Symphony Orchestra, Richard has just returned from an international tour of Asia. Shostakovitch symphony No 5 was the showpiece they performed in Shanghai and Singapore to capacity crowds. Elgar Sea Pictures and Alice Humphries's Tide also featured. 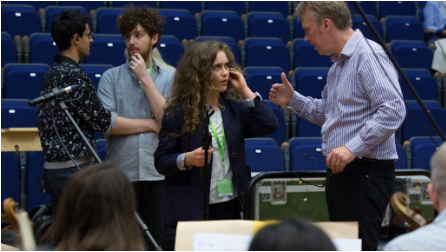 In November Richard flew to Brisbane to meet some young composers and workshop 10 of their compositions with the Queensland Symphony Orchestra. Richard has just been appointed Conductor and Music Director at the VCA and MCM in Melbourne. In addition to conducting many exciting concerts, with their orchestra, he will also serve as Head of Orchestral Studies. He will bring with him a unique blend of experience - from writing his book: Becoming an Orchestral Musician to 'clocking up' over 30 years' practical experience as a principal player in a UK orchestra. In addition to conducting in Australia, Richard intends to regularly return to the Northern Hemisphere to maintain his relationship, conducting European orchestras - especially the BBC Philharmonic. Richard is pleased to announce that he has recently signed with Weaver Arts Management, who will exclusively represent him in the UK, Australia and New Zealand. Richard recently conducted a BBC recording of the ballet: The Comic Spirit by Denis Browne (who died in the Galippoli campaign of 1915). The recording, with the BBC Philharmonic, was broadcast as part of a BBC series celebrating composers who died during the Great War 1914-18. Robert Weedon reconstructed, and completed, Browne's score for this delightful work. Robert and Richard then spent weeks painstakingly correcting and deciphering the handwritten manuscript. The music is charming and melodic although there are 'modern' quotes from Petrushka and The Rite of Spring which he had just heard before the outbreak of the war. Click here to hear the recording. 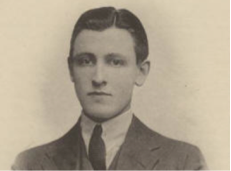 William Denis Browne. For more information on Browne, click the image. 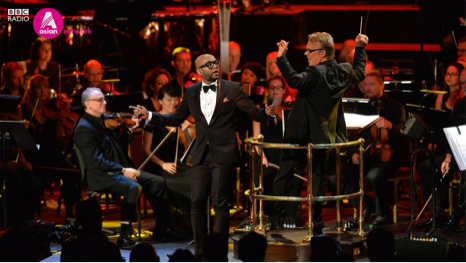 During the months of June and July Richard directed the BBC Philharmonic, several times, in a series of concerts in the Philharmonic Studios, MediaCity and at Manchester's Bridgewater Hall. Repertoire included Stravinsky's Firebird, Beethoven's 5th symphony and Holst's Mars, from the Planets Suite. May 2016 saw Richard returning to Australia to conduct in Melbourne's wonderful Hamer Hall. He conducted a Russian Ballet evening with the exciting and virtuosic MCM Symphony Orchestra. Prokofiev's masterpiece Romeo and Juliet and Stravinsky's colourful showpiece Petrushka were spectacularly performed. Shostakovich's 'blistering' Festive Overture opened the concert. 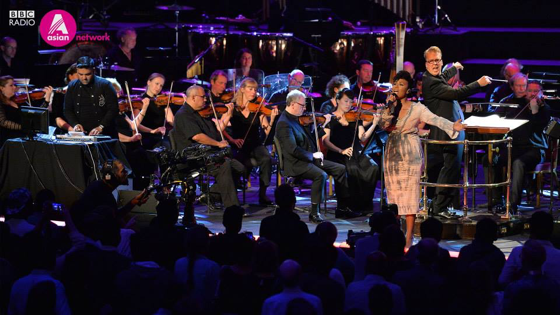 In September 2014, Richard conducted the BBC Philharmonic with the fusion rock-group, Clean Bandit, live on BBC television and BBC Radio 1. This recording was subsequently made into a Warner Music CD and DVD – New Eyes (special edition) that stayed in the top 40 UK Album Charts for months. This concert included singers Jess Glynne and, pictured, Rae Morris. Click to see the concert. Rehearsing 'extraordinary' with Rae Morris and the BBC Philharmonic. Behind, Clean Bandit's Milan Neil Amin-Smith and Jake Patterson. 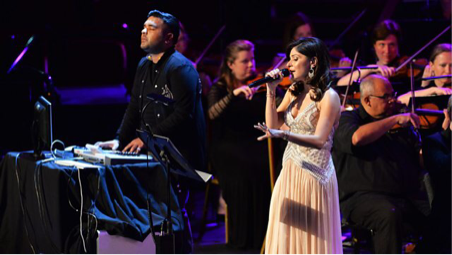 Conducting at the Royal Albert Hall, in the 2015 Prom season, Richard conducted Emeli Sandé and producer 'Naughty Boy' along with Bollywood Legend, Kanika Kapoor. The charismatic Benny Dayal and amazing Palak Muchhal also sung some Indian movie classics. 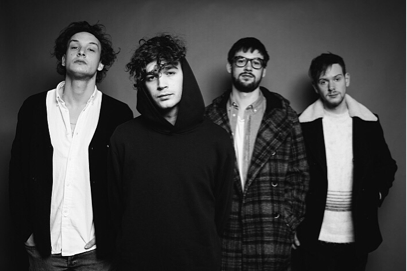 Click to see the concert.